If you're heading into the city centre or down to the Gold Coast, the train is the easiest, quickest and cheapest option. The Brisbane Airport train (Airtrain) runs regularly into Brisbane and also runs through to the Gold Coast stopping at popular stations along the way. 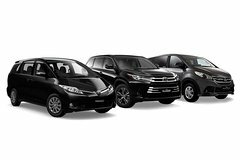 You can also choose to hire a taxi from the taxi rank outside Arrivals or choose to hire a car from one of the car rental companies within the terminal - all the major Australian car rental companies are represented. You can also take the hassle out of navigating through an unknown city by getting a Brisbane airport transfer - see what's available below. You can also view a range of hotels near Brisbane Airport to make the trip a lot shorter, especially if you're in town for a short time. 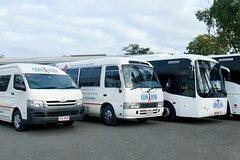 Con-x-ion is the leading ground transport provider in South East Queensland of share-ride, door to door airport shuttle transfers. 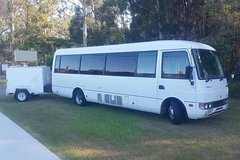 Offering the easiest and most cost-effective service to get to and from Brisbane Airport from your home, office or hotel, Con-X-ion also offer theme park and attraction transport, day tours and all kinds of charter services in comfortable, air-conditioned vehicles. Book your door-to-door reservation online and experience a hassle free and reliable service. Transfers are available from all major airports in South East Queensland (and beyond), docks, wharfs and transit stops around Brisbane, to your home or holiday accommodation in Brisbane, the Gold Coast or Sunshine Coast. View prices and book online directly with Con-X-ion! 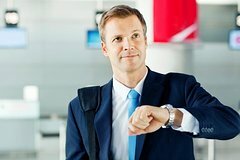 It's quick and easy to book an Airport Transfer for both arriving and departing Brisbane. You can get transferred straight to your hotel in Brisbane or the Gold Coast at affordable prices. 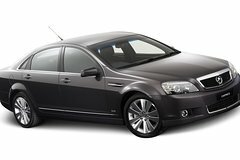 Enjoy the private shuttle service for your airport transfer to Brisbane Airport or from Brisbane Airport. 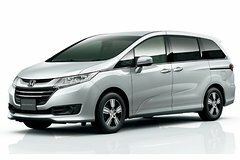 Provide the private shuttle service to or from Brisbane Airport to Brisbane City and its inner surrounding suburbs servicing hotels, private accommodation and businesses. It should be within 20 KM. Enjoy a stress free Private transfer in spacious Mercedes Minivan. Driver will meet you inside the terminal and will assist you with the luggage. Best operator for small groups or families with children. 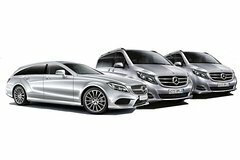 We offer Private Family Transfers and Day Tours including airport transfers, cruise transfers, theme park transfers, event transfers and tour transfers in Brisbane, Gold Coast, Toowoomba, Ipswich and Sunshine Coast region. You are welcome to book your private transfers and day tours with us. We look forward to serving you. 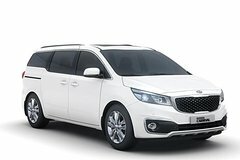 We offer Private Transfers and Day Tours including airport transfers, cruise transfers, theme park transfers, event transfers and tour transfers in Brisbane, Gold Coast, Toowoomba, Ipswich and Sunshine Coast region. You are welcome to book your private transfers and day tours with us. We look forward to serving you. 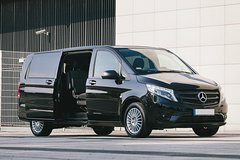 We offer Private Airport Transfers and Day Tours including airport transfers, cruise transfers, theme park transfers, event transfers and tour transfers in Brisbane, Gold Coast, Toowoomba, Ipswich and Sunshine Coast region. You are welcome to book your private transfers and day tours with us. We look forward to serving you. 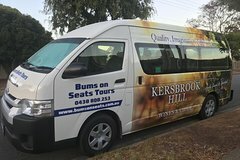 At Bums On Seats Brisbane we only offer exclusive Brisbane airport transfers to and from your home, office, hotel, or wherever you are, from all over the Brisbane area. This means when you choose to book with us, you will enjoy having the entire vehicle to yourself. We only transfer you and your party, so there will be no sharing the vehicle with other passengers and we won’t make any additional stops either. 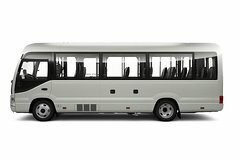 With us you get nothing, but relaxed and direct airport transfers. 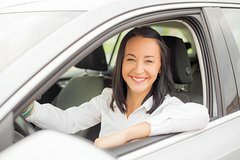 We give you smartly dressed chauffeurs in black business suits and bow ties who are trained to offer value added services in multiple situations. We also have a 24-7 helpline that addresses your queries and solves all your problems in super quick time to say the least! Use a door to door transfer, a comfortable and hassle free service that will allow you to enjoy your journey from the moment you arrive to the beautiful city of Brisbane. 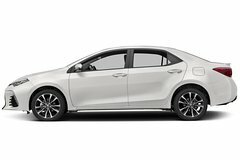 Your driver will be waiting for you in Brisbane International Airport arrival hall and will take you straight to your centrally located hotel in Brisbane. Arrange your trip in advance and enjoy and start your stay in Brisbane without any stress. Use door to door transfer, comfortable and safe. 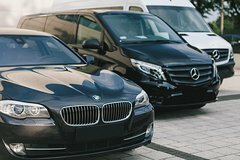 Don't go through all the hassle of waiting in long taxi and shuttles queues and make the best of your stay while in Brisbane with the Brisbane Airport Private Departure Transfer. Arrange your trip in advance and start your stay in Brisbane without stress. Use door-to-door round-trip transfer between Brisbane International Airport and your Brisbane hotel with comfort and safety and avoid long taxi lines. Arrange your trip in advance and start your stay in Brisbane without stress. Use door-to-door transfer with comfort and safety and avoid long taxi lines. Enjoy the way with a bottle of water per person and WiFi on board. 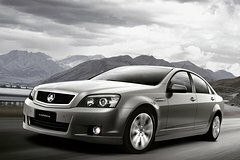 Choose this private transfer for your transit from Brisbane City to Gold Coast (an approximate 60- 90 minute duration). Your local operator provides reliable, courteous, professional service and affordable prices with customer's, comfort, satisfaction and safety being their primary objective. These are exclusively private transfers with no sharing with other passengers. 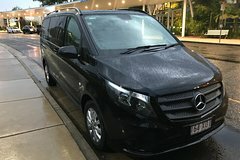 Choose this private transfer for your transit from Brisbane Airport or Brisbane City to Gold Coast (an approximate 60- 90 minute duration). Your local operator provides reliable, courteous, professional service and affordable prices with customer's, comfort, satisfaction and safety being their primary objective. 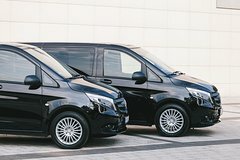 These are exclusively private transfers with no sharing with other passengers, no waiting charge and if the flight is delayed they'll wait for you free of cost. 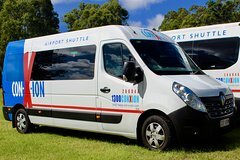 Con-X-ion airport shuttle is the swift, efficient, comfortable and safe way to travel to your Sunshine Coast Accommodation directly to the door! -No need for being dropped off at bus stops and finding your way around with luggage; Con-X-ion provides you with the most convenient mode of transportation at very competitive rates. With conveniently placed check in counters at both International and Domestic terminals our friendly staff are there to help. 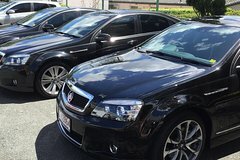 With newly appointed vehicles providing the best in passenger comforts, Con-X-ion run services hourly to and from the Brisbane airport and Sunshine Coast hotels. Just sit back, relax and be transferred in air conditioned comfort. Transfers are available from holiday accommodations and private residences along the Sunshine Coast from Caloundra to Noosa. 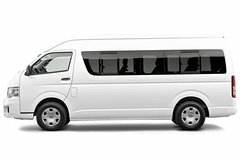 Con-x-ion airport shuttle is the swift, efficient, comfortable and safe way to travel to your Brisbane CBD Accommodation directly to the door! -No need for being dropped off at bus stops and finding your way around with luggage; Con-X-ion provides you with the most convenient mode of transportation at very competitive rates. With newly appointed vehicles providing the best in passenger comforts, Con-X-ion run services every 40 minutes to and from the airport and Brisbane City hotels (CBD). Just sit back, relax and be transferred in air conditioned comfort. Con-x-ion airport shuttle is the swift, efficient, comfortable and safe way to travel to your Brisbane CBD Accommodation directly to the door! -No need for being dropped off at bus stops and finding your way around with luggage; Con-X-ion provides you with the most convenient mode of transportation at very competitive rates. With conveniently placed check in counters at both International and Domestic terminals our friendly staff are there to help. 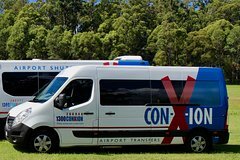 Con-x-ion airport shuttle is the swift, efficient, comfortable and safe way to travel to your Toowoomba accommodation directly to the door! -No need for being dropped off at bus stops and finding your way around with luggage; Con-X-ion provides you with the most convenient mode of transportation at very competitive rates. With newly appointed vehicles providing the best in passenger comforts, Con-X-ion run multiple services to and from the Brisbane Airport. Just sit back, relax and be transferred in air conditioned comfort. 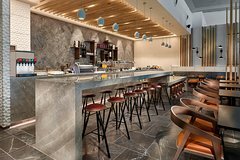 Recharge before your flight with a 6-hour pass to the Plaza Premium Lounge at Brisbane International Airport. Partake in a luxurious experience providing comfort, convenience, and award-winning services regardless of what airline or class you travel. Enjoy light refreshments and snacks with a variety of hot-cooked meals, as well as unlimited wine, beer, soft drinks, and coffee. Relax with ample seating and complimentary Wi-Fi. Customers may select any 6-hour window of their choosing during operating hours. Airport Transfer Company (ATC) provides the fastest shared Shuttle Transfer Service between the Brisbane Airports to Gold Coast. ATC operates 10 shared shuttle services daily from Brisbane International Airport to Gold Coast. 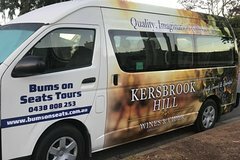 Our Premium Express Shuttle will pick-up from the Brisbane International Airport and drop you off to any accommodation houses or private residence within Broadbeach, Surfers Paradise, Main Beach, Bundall, Benowa, Ashmore and Southport. With limited pick-ups (Maximum 4), its then an express service direct to the Gold Coast. 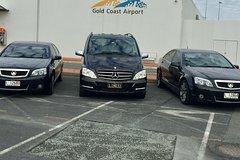 Airport Transfer Company (ATC) provides the fastest shared Shuttle Transfer Service between the Brisbane Airports to Central Gold Coast suburbs. 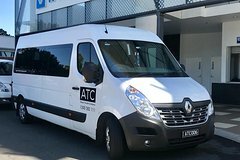 ATC operates seven shared shuttle services daily from Brisbane Domestic Airport to Central Gold Coast. 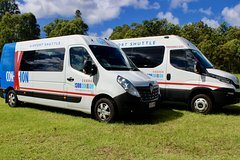 Our Premium Express Shuttle will pick-up from the Brisbane Domestic Airport and drop you off to any accommodation houses or private residence within Broadbeach, Surfers Paradise, Main Beach, Bundall, Benowa, Ashmore and Southport. With limited pick-ups (Maximum 4), its then an express service direct to the Gold Coast. Brisbane's Airtrain offers the quickest and most reliable option to get from the Brisbane Airport to either the city centre stations (including Bowen Hills, Fortitude Valley, Central Station, Roma Street, South Brisbane and South Bank) or suburban stops, all the way through to the Gold Coast. Trains from the domestic and international airports run every 15 minutes from 5.45am (6am on weekends) until 10pm and they will take you to Brisbane City, Brisbane suburbs and the Gold Coast with most stops in between. Visit Airtrain.com.au for more information.